Yuan Shi Dian (“YSD”) is based on the principle of “People the Foremost, Patient the Teacher”. It started from zero without preconceived notions, was drawn bit by bit and evolved from practical performance on people. YSD is a type of natural medicine that is “safe and effective, simple and environmentally friendly, non-pharmaceutical and noninvasive”. 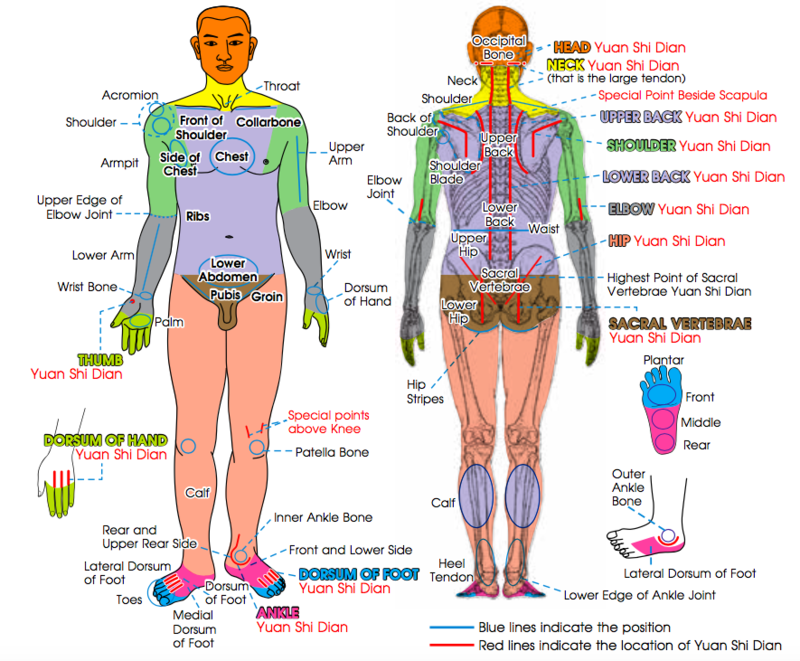 Its specific approaches are Antui (按推) of Yuan Shi Tong Dian (原始痛點), replenishment of Internal and External Heat Sources, coordinated with appropriate exercise, proper rest and a good state of mind and such, so as to improve Tishang (體傷) and Heat Energy Deficiency, enable the body to restore to normal functioning and achieve the goals of self-healing and resolving Symptoms and Signs. YSD contributes to the collaborative efforts made by all disciplines of medicine in order to resolve the Symptoms and Signs of diseases and illnesses of all mankind. To voluntarily educate people worldwide with YSD concepts. Further, it aims to improve the current medical culture, help streamline medical expenses in every country and region, and resolve human suffering from diseases and illnesses. YSD Foundation is not a hospital or clinic. 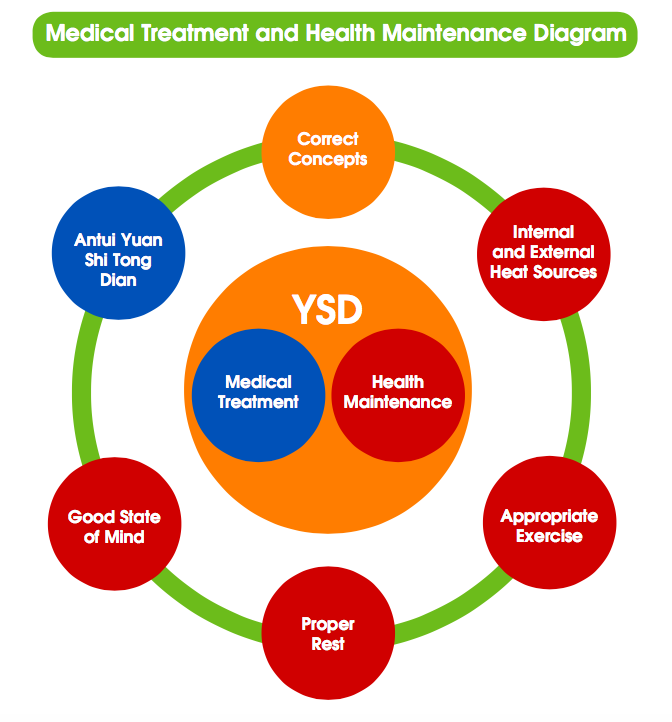 Upon educating the public on YSD concepts, the decision-making power of medical treatment and health maintenance is held by the individuals themselves who would have complete autonomy in their choice to practice. To preserve the neutrality of medicine, the Foundation is not political or involved with any religious activity. When legally permissible, the Foundation is agreeable to establish a friendly and equal partnership with other organizations of the world. Any collaboration thus established would be based on mutual respect, equal status, and constructive discussions. The Foundation hopes to spread the seeds of YSD to all corners of the world, to resolve all suffering from diseases and illnesses of the present generation and leave a path for living and survival to guide future generations.